The Zetronix® zDrive-WiFi is the perfect dash cam to record everything from a scenic drive to a spectacular incident.. The zDrive-WiFi is equipped with a Panasonic® 1080p video sensor for remarkably detailed high-definition video, a GPS sensor that records and displays your location during video playback, and a local WiFi signal for your phone or tablet, which allows you to playback video immediately using our proprietary Zetronix® app that is downloaded for free from Apple App Store or Google Play store. The zDrive-WIFI connects to your vehicle’s 12volt socket and instantly turns on and begins recording as soon as you start your car. This innovative dash cam records to a memory card (sold separately) and is compatible with t MicroSD cards up to 128GB. Recording a Beautiful Drive: Want to capture the beautiful surroundings of your road trip? Sticking your phone out of the window won’t get the job done. It's not convenient or safe, and you’ll never do the scenery justice. The zDrive-WiFi is the perfect alternative. It will record a crystal clear, high definition video of your drive at a wide angle. And it’s so easy to download the video directly from you phone and share it. Who knows, maybe your video will go viral. Somebody Messing with your Car? The zDrive-WiFi records brilliantly at day or night. If you suspect somebody is damaging your car, catch them red handed on video with your zDrive-WiFi dash cam. 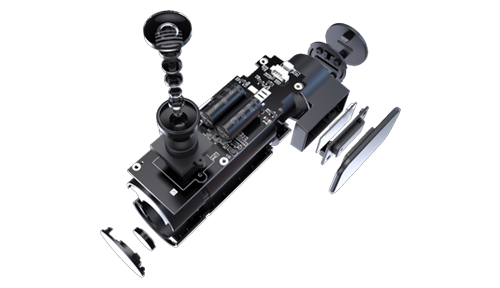 With an optional hardwire-kit you can hook up the dash cam to your battery and leave it on running all night long. Vidoe Witness Never Lies! We’ve all been in a minor fender bender that you know is the other party’s fault. But if they claim it’s your fault, it’s “he said she said” and your insurance premiums will probably take a hit. Unless, of course you have the accident recorded on your dash cam. 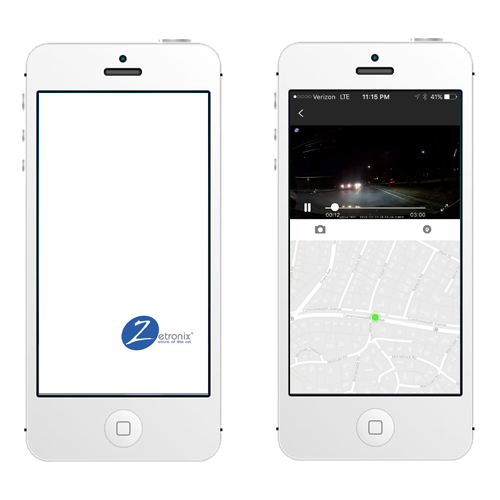 With the zDrive-WiFi, you’ll have indisputable video evidence proving who’s really at fault! The Zetronix® zDrive-WiFi is equipped with a Panasonic® 1080p image sensor. Combined with WDR technology the zDrive-WiFi will produce a high-quality image during the day or at night. HD 1080p video is recorded through a Six-Element Sharp Lens, made up of six layers of glass for a clear image. Wide Dynamic Range (WDR) technology uses two shutter speeds - high and normal - in alternative video fields, and combines them into one frame for clear detail in both daytime and low-light environments. The zDrive-WiFi is compatible with up to a 128GB Micro SD card (Class 10+) that can store and record up to 77 hours of HD 720P video on a128GB Card. Note that the Micro SD Memory Card is NOT INCLUDED. 4.0" X 1.75" X 1.75"